The history of ginger is so long, that today it’s hard to find the beginning. It was used in traditional Indian and Chinese medicine for thousands of years. It was brought to Europe from Asia in 14th century by traveler and explorer Marco Polo, as one of the nature treasures. The invaluable qualities of this beneficial plant are still known today. 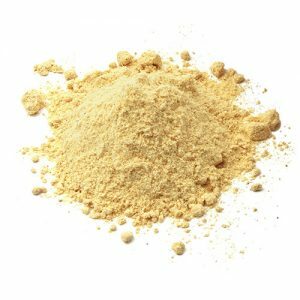 Using ginger throughout a years by billions of users proved its beneficial abilities and ensures evident harmony and synergy with human and its natural needs. Ginger root extract is the key ingredient for us. You can find out its full range of advantages using our products. Our philosophy is simple: We believe that what we do, can change the world. We try to think different than others. We change the world by finding our customers needs and customizing our offer by developing highest quality, easy to use and eco-friendly products. We are creating synergy between nature and human needs. G-synergie brand was created by professionals. We provide what’s the most important for people hair and skin – health, effect, vitality, shine, as well as easy and comfortable application. 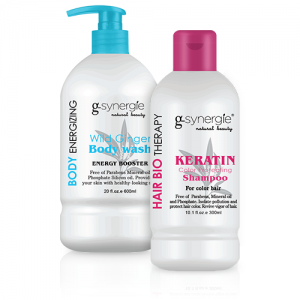 G-synergie creates a symbiosis with human and its natural needs, it is a synergy between carefully selected ingredients. Thanks to their unique properties they interact and complement each other giving the spectacular effects. To create advanced products available for everyone. Technologically advanced high-tech cosmetics can be expensive because of special formulations and production process, or in distribution – cosmetic salons exclusiveness or selective points of sale. Those factors can multiply the product prices. Drawing on our 20 years of experience and knowledge in global, luxurious cosmetic branch, G-synergie brand overcomes difficulties and provides high quality products in affordable prices.